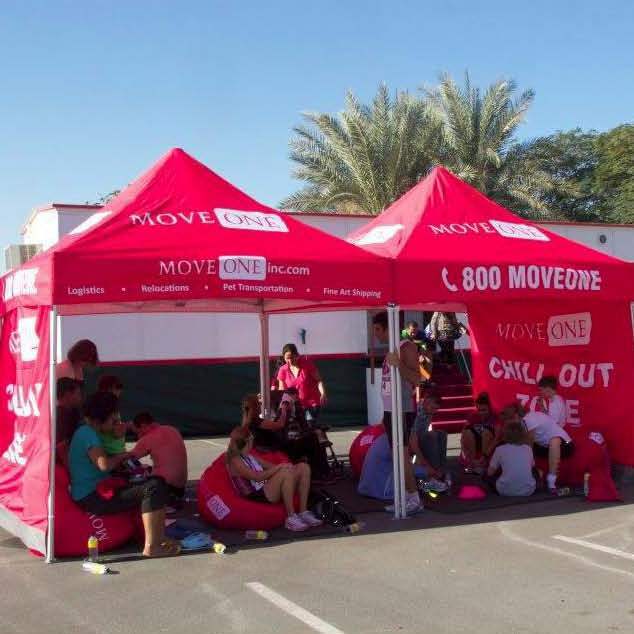 Dubai Half Marathon runners were treated to some post-run R&R at the brand new Move One Chill Out Zone. Move One’s new Chill Out Zone is a mobile, purpose-built tent complete with bean bags and refreshments. Move One was pleased to be involved in the Dubai Half Marathon bringing a bouncy truck, supporters and runners. Despite an early start for some it was a fantastic event to be involved with. Pheidippides himself would have been proud of the efforts of Move One runners Maricel Desingco (2h 45m), Glen Hampson (2h 6m), Shawn Wood (2h 27m) and Ysmael Caparida (3h7m). Move One would like to thank all those that participated, helping to make this the wonderfully successful event it was. Move One Sponsors the 10th Annual Dubai Vertical Marathon!